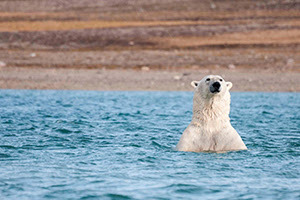 Experience the magnificent Arctic with One Ocean’s unparalleled expeditions. This small-ship expedition company brings you the highest staff-to-guest ratio in the industry, as well as state of the art ships, where each passenger cabin boasts an outside view. Not only does the Arctic offer an abundance of birdlife and marine mammals, it also possesses unique fishing and celtic cultures. The soaring glaciers, breathtaking icebergs and unique Inuit settlements of both Canada and Greenland will all open your eyes like never before. An area rich in spectacular scenery, an adventure to the Arctic region is truly once-in-a-lifetime. So don't hesitate, set your sights on the Arctic and secure your place with Active Travel now.